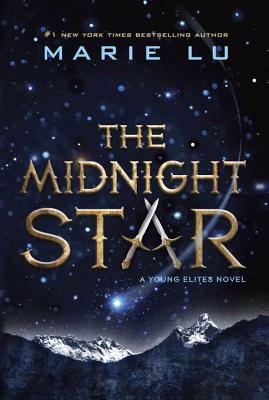 Wednesday, October 12th, 2016, 6 p.m.
Gibson's Bookstore is pleased to present YA star author Marie Lu as she presents her newest novel, The Midnight Star, the thrilling finale to her New York Times bestselling trilogy Young Elites series. Preorder the book from us and submit your receipt to the publisher (click on the banner above) to receive a The Young Elites tote bag and water bottle! "There was once a time when darkness shrouded the world, and the darkness had a queen." Adelina Amouteru is done suffering. She's turned her back on those who have betrayed her and achieved the ultimate revenge: victory. Her reign as the White Wolf has been a triumphant one, but with each conquest her cruelty only grows. The darkness within her has begun to spiral out of control, threatening to destroy all she's gained. When a new danger appears, Adelina's forced to revisit old wounds, putting not only herself at risk, but every Elite. In order to preserve her empire, Adelina and her Roses must join the Daggers on a perilous quest though this uneasy alliance may prove to be the real danger. About the Author: Marie Lu is the author of the #1 New York Times bestselling series The Young Elites, as well as the blockbuster bestselling Legend series. She graduated from the University of Southern California and jumped into the video game industry as an artist. Now a full-time writer, she spends her spare time reading, drawing, playing games, and getting stuck in traffic. She lives in Los Angeles, California, with her husband, one Chihuahua mix, and two Pembroke Welsh corgis. "Legend doesn't merely survive the hype, it deserves it."